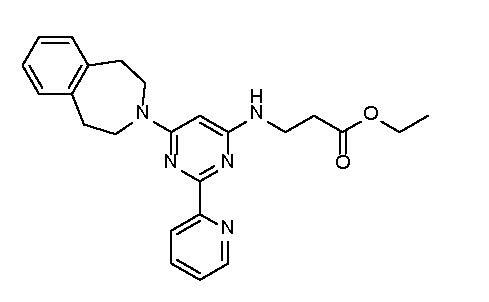 GSK-J4 is a histone demethylase JMJD3/UTX inhibitor. Inhibits demethylation of histone H3K27. Reduces LPS-induced proinflammatory cytokine production in primary human macrophages (IC50 = 9 µM for the inhibition of TNFa release). Cell permeable, ethyl ester of GSK-J1. Rescues newborn pups from embryonic lethality in BRAF knockin mice which recapitulate major features of RASopathies. Inhibits the growth of T-cell acute lymphoblastic leukemia (T-ALL) cells. Storage: Store, as supplied, at -20°C. Store solutions at -20°C for up to 3 months.